Search Engine Optimization (SEO) in simple words is just a practice that could help website owners to get their sites ranked high in the search engine results page (SERP). However, there is so much work involved to get done before you can achieve positive results. SEO is very broad in nature and RSS feeds are just one aspect but an important one. Thus it shouldn’t be neglected. 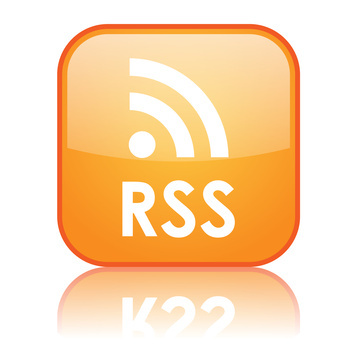 Let’s have a look why RSS feeds are important tool for websites. RSS stands for Real Simple Syndication. What they do is, automatically update your website’s frequent visitors whenever new post or news piece is added that might be of their interest. Similar to newspapers’ daily or weekly syndicated columns or comics, RSS syndicates your site’s content for distribution who is interested in ‘subscribing’ to your site’s feed. The information that you get from an RSS is known as “feed”, “channel” or “web-feed” and it publishes any new blog entry, news updates, website updates and new audio or video content that is added to your site. The feeds are created and categorized in such a manner that they are easy to read. It also make things easier for site owners to create a centralized place from where they could easily update their sites that can be done via computer, laptop or even smartphone. RSS feeds are more than the source of information for your users, therefore it can play quite an important role for your SEO strategy. RSS feeds are indexed by Google and other major search engines very quickly which can give a boost to your SEO strategy and all this happens faster because theycache pretty quickly. This means that you can even optimize them for search engines and as a result generate a pretty good amount of traffic showing interest in the content. If you create high quality RSS feeds then Google’s crawlers will more easily recognize your site’s new content and you can use those posts as content to your advantage through different linking opportunities. Moreover if you frequently update your site or blog then you will get noticed by the search engines easily and that will increase the overall visibility of your site’s feeds in front of the search engines. However, if it’s other way around and you don’t update your site quite often then it will lose the attention of search engines’ crawlers as these crawlers are normally fond of sites that are updated regularly rather than stagnant sites. So, up till now you should know what RSS feeds are, why they are important for an effective SEO strategy and how you can use them for your online marketing. All in all, RSS feeds are a great way to improve your site’s SEO strategy and can bring in good amount of traffic which can prove beneficial for online businesses. After all, you’re out there to make money and RSS is one of the ways to bring in more business. Therefore, an effective SEO strategy should give important to RSS feeds.